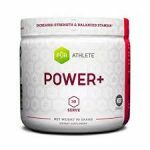 The price on this Purathlete Power+ Creatine (99 gram) drops from $22.99 to $9.99 shipped, with Amazon coupon. Deal Categories: Creatine Supplements.Stores: Supplement Hunt. Supplement Hunt is dropping the price on 2 tubs of BPI Build-HD creatine, all the way to $19.99 for 2 tubs. Add 2 tubs to your cart (choose from 2 flavors). Proceed to checkout & apply coupon “build2“. This is the best total price we saw by $36.